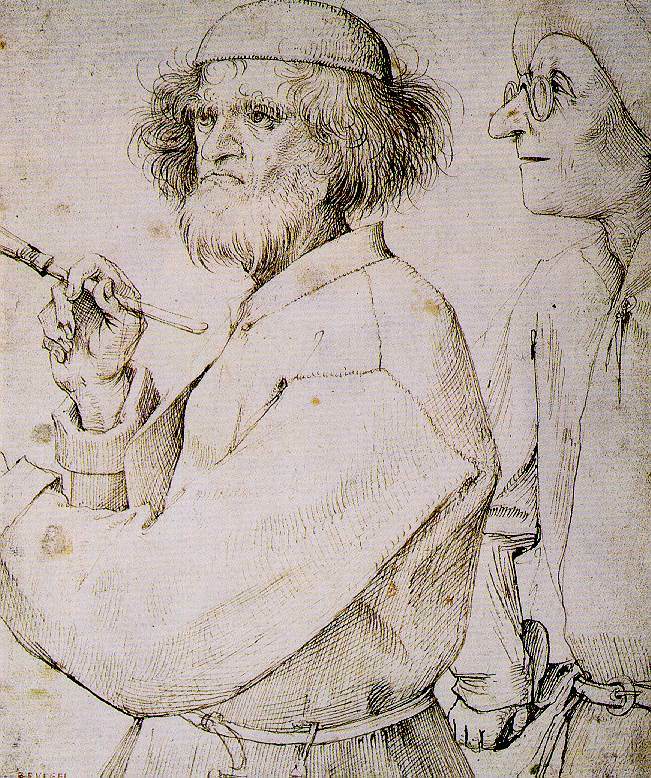 Pieter Bruegel (about 1525-69), usually known as Pieter Bruegel the Elder to distinguish him from his elder son, was the first in a family of Flemish painters. 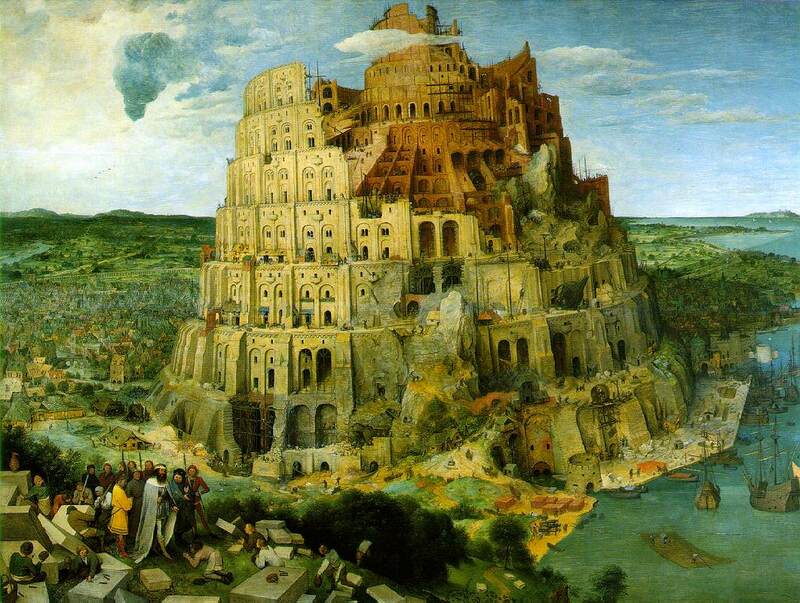 He spelled his name Brueghel until 1559, and his sons retained the "h" in the spelling of their names. 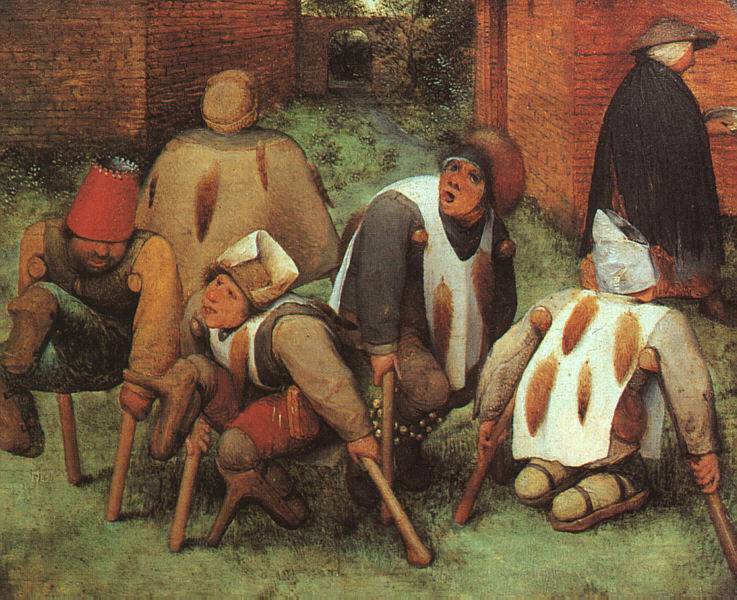 Pieter Bruegel the Elder, generally considered the greatest Flemish painter of the 16th century, is by far the most important member of the family. He was probably born in Breda in the Duchy of Brabant, now in The Netherlands. 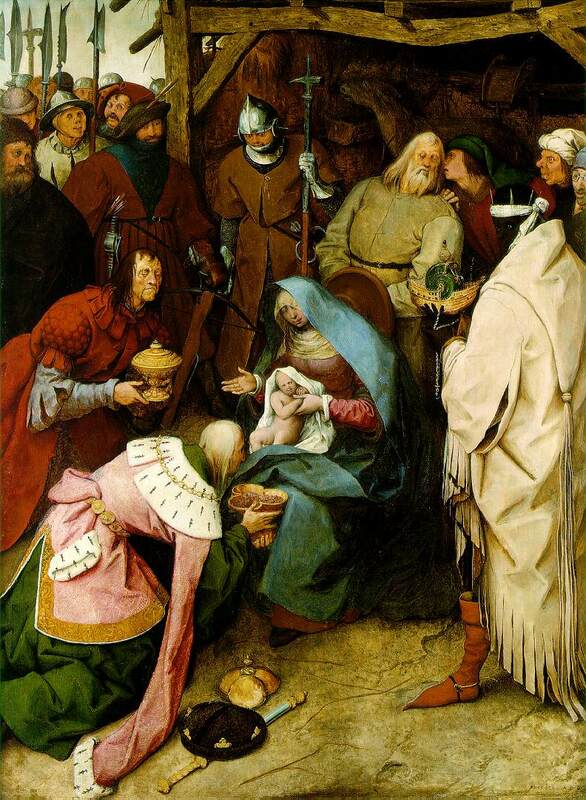 Accepted as a master in the Antwerp painters' guild in 1551, he was apprenticed to Coecke van Aelst, a leading Antwerp artist, sculptor, architect, and designer of tapestry and stained glass. 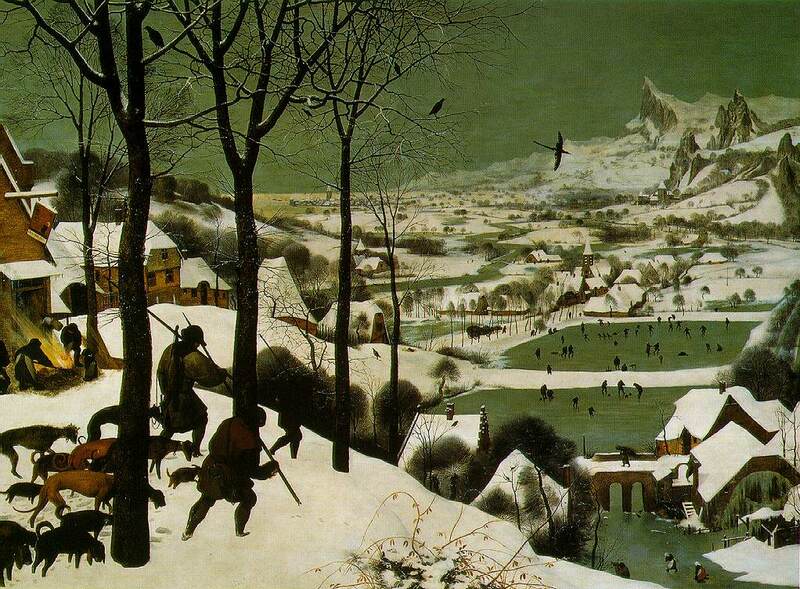 Bruegel traveled to Italy in 1551 or 1552, completing a number of paintings, mostly landscapes, there. Returning home in 1553, he settled in Antwerp but ten years later moved permanently to Brussels. 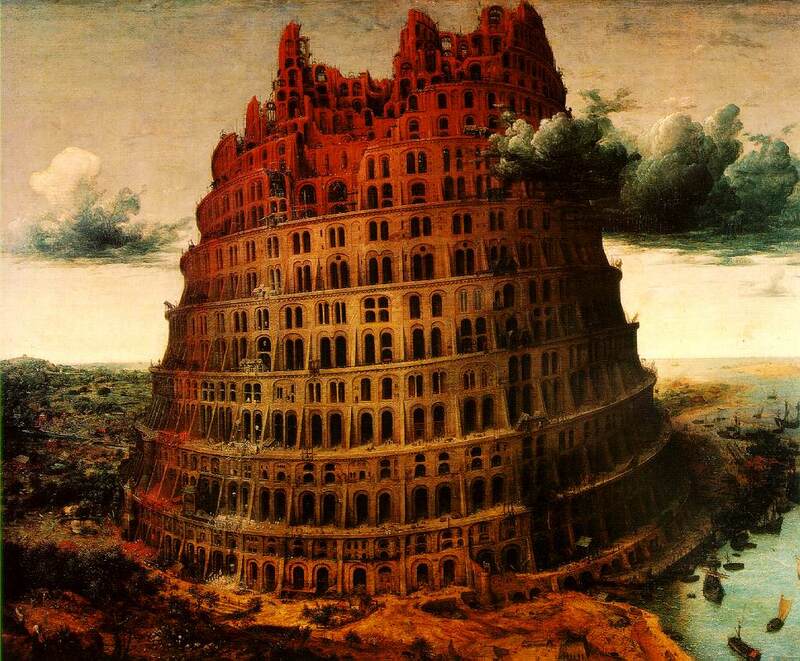 He married van Aelst's daughter, Mayken, in 1563. 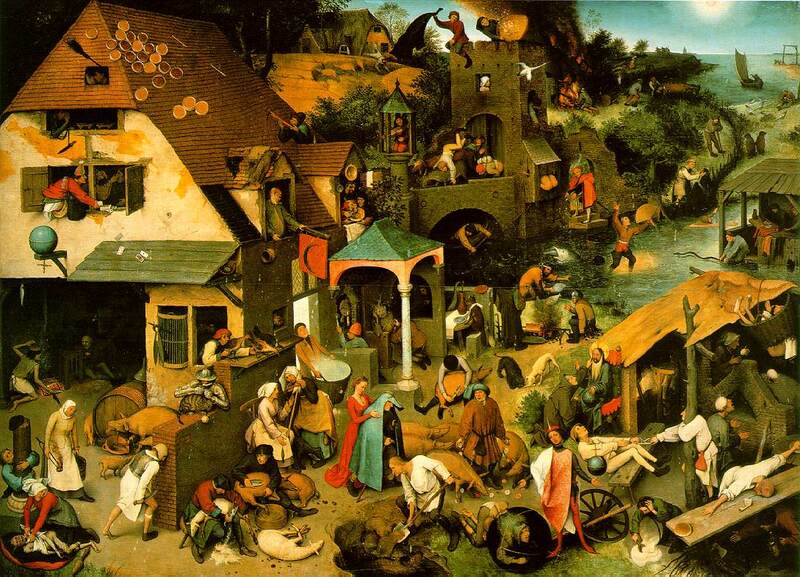 His association with the van Aelst family drew Bruegel to the artistic traditions of the Mechelen (now Malines) region in which allegorical and peasant themes run strongly. His paintings, including his landscapes and scenes of peasant life, stress the absurd and vulgar, yet are full of zest and fine detail. They also expose human weaknesses and follies. 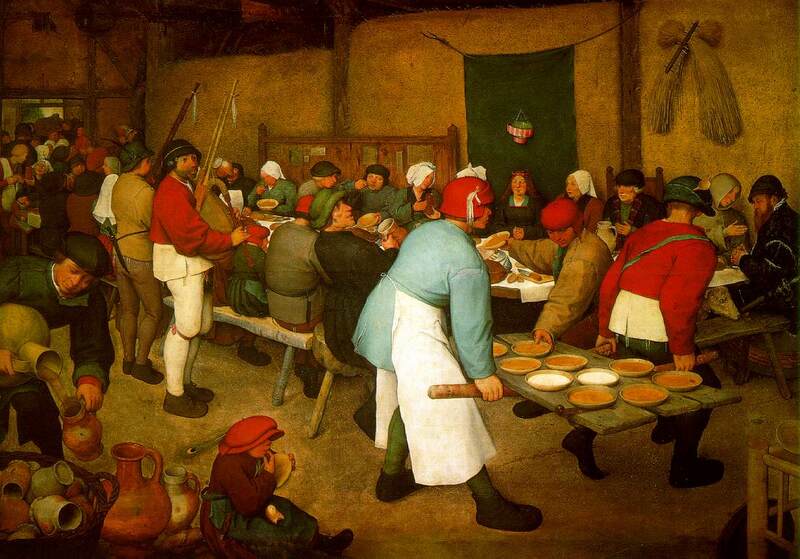 He was sometimes called the "peasant Bruegel" from such works as Peasant Wedding Feast (1567). He developed an original style that uniformly holds narrative, or story-telling, meaning. 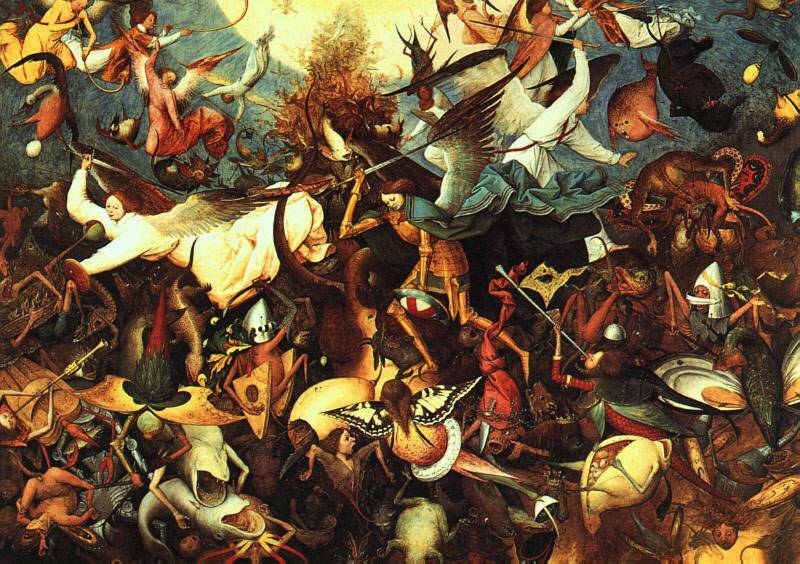 In subject matter he ranged widely, from conventional Biblical scenes and parables of Christ to such mythological portrayals as Landscape with the Fall of Icarus ; religious allegories in the style of Hieronymus Bosch; and social satires. But it was in nature that he found his greatest inspiration. His mountain landscapes have few parallels in European art. Popular in his own day, his works have remained consistently popular. 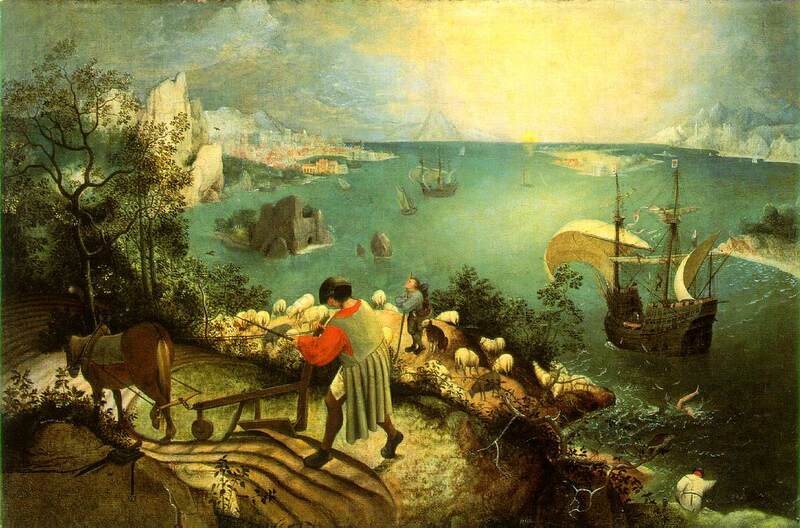 Bruegel died in Brussels between Sept. 5 and 9, 1569. 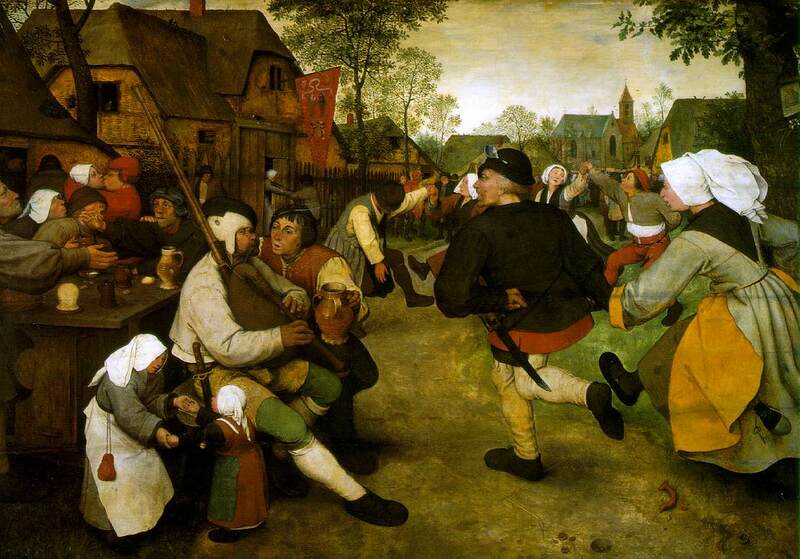 Pieter Brueghel the Younger (1564-1638) was the elder of two sons born just a few years before their father's death. 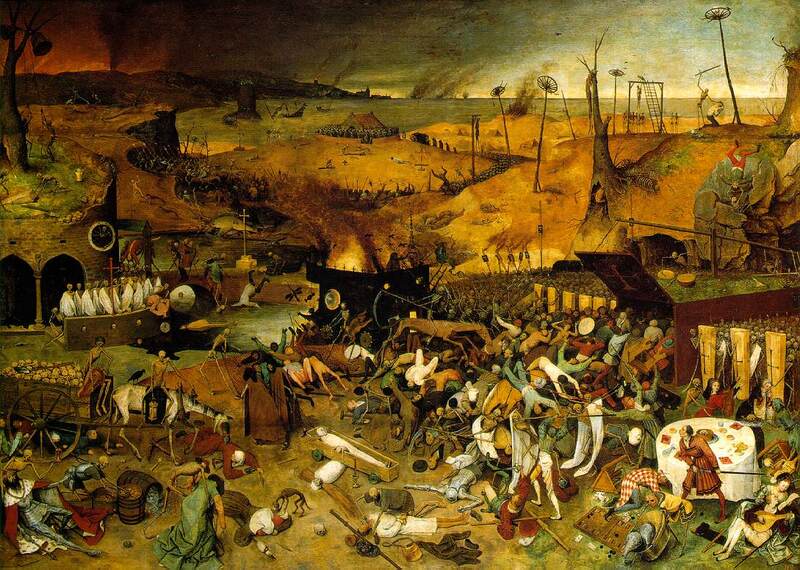 Known as "Hell Brueghel" because of his fascination with hobgoblins, fires, and grotesque figures, he made his career in Antwerp, where he became a master in the guild in 1585. He is best known as a copyist of his father's paintings, as they were both popular and scarce. In his own canvases, such as Village Fair and The Crucifixion , he shows a firm grasp of space and movement. 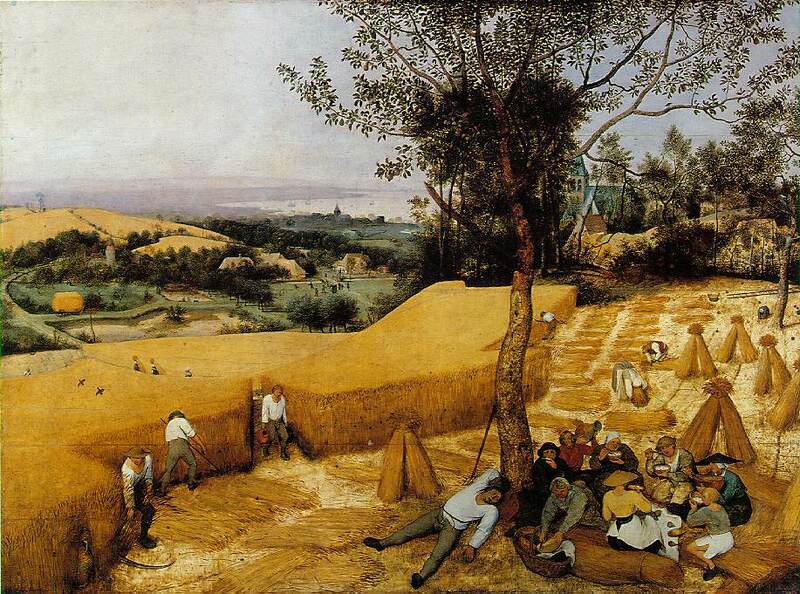 His son, Pieter Brueghel III (1589-?1640), was also known primarily as a copyist. 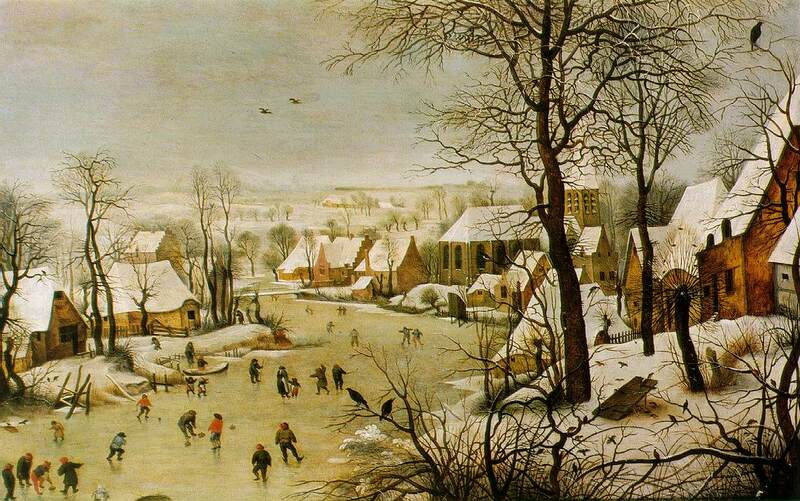 Jan Brueghel (1568-1625), called the "velvet Brueghel," was the second son of Pieter Bruegel the Elder and, like his brother Pieter Brueghel the Younger, made his career in Antwerp. Known for his still lifes of flowers and for his landscapes, he was a friend of Peter Paul Rubens and collaborated with him in paintings such as Adam and Eve in Paradise . He specialized in small wooded scenes that were finely finished and brightly colored. 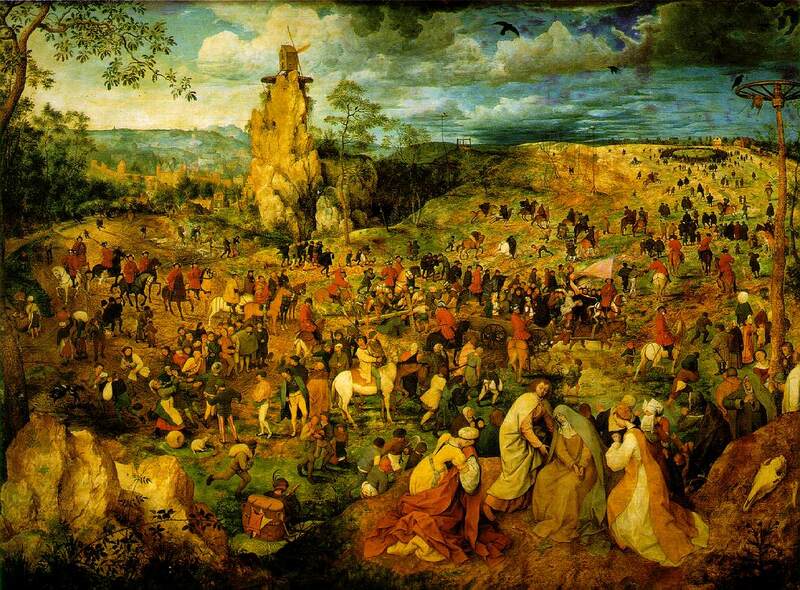 His style was perpetuated by his sons Jan Brueghel II (1601-78) and Ambrosius Brueghel (1617-75), whose sons carried on the tradition into the 18th century.